Posted by Maria Perilli on May 28, 2013. 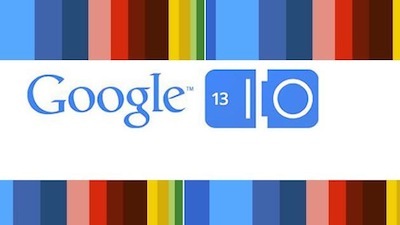 Google I/O is the search giant’s annual developer-focused conference, and in addition to the regular keynotes from some of the biggest names in the industry, this year’s event, held May 15th through May 17th, revealed a Google Maps overhaul, new Google search features and more. Daniel Graf, director of Google Maps, made a big announcement regarding one of the company’s most popular services. Users can now use Google Maps on their mobile phone as more of a discovery tool – search results for something generic, like an Italian restaurant, will soon show ratings (that will be Zagat-integrated to show badges next to places that have been reviewed) and reviews, and a left or right swipe will scroll between results and show reviews from anyone in your Google+ circles. In addition to these updates, another new badge will be introduced, showing offers that users can save for later from brands that have special deals with Google. The company will also add live coverage of traffic accidents with alerts, as well as dynamic re-route directions. Updates to Google Maps on desktops include map-labeled search results that will replace the red pins, an updated sidebar with a filter that will allow users to see results from places their Google+ friends have visited, top-down views with an immersive 3-D experience similar to “Street View” and more. Request an invite to get access to the new Google Maps. New Google search features will include a huge expansion to the knowledge graph, which will provide even more informative search results produced by Google’s enhanced ability to anticipate future searches and questions. Other noteworthy updates include integration of Google voice (currently available only to Android users, this feature allows you to search verbally) to desktop search, improvements to the Google Now alert system and more. As the new features roll out, we’ll be watching to see how the many updates affect Google AdWords. Need a team of pay-per-click experts to manage your campaigns? Contact PPC Professionals today by calling (954) 606-5359.